travels the globe sharing his talents as a performer, teacher, and conductor. A native of Atlanta, Georgia, Adam Frey received his musical training at the University of Georgia, the Royal Northern College of Music, and the University of Salford. As a major ambassador of the euphonium, Adam has more than one hundred and twenty works that have been composed or specifically arranged for him. As conductor, adjudicator, and clinician, Adam has judged and worked with wind bands, brass bands, and brass ensembles in the United States, Taiwan, Singapore, South Korea, Thailand, Argentina, Brazil, Colombia, the Dominican Republic, Russia, Mexico, Peru, Germany and Italy to name a few. Highlights of his teaching areas include: effective practice techniques for large ensembles; efficiency and training on breathing skills; and, developing an ensemble capable of musical sensitivity. As a soloist, Adam has appeared with orchestras the world over, including the world famous Boston Pops, Cheju Symphony Orchestra (South Korea), US Army Orchestra (Washington DC), Harvard Pops (MA), Fort Collins (CO), Indian Hill (MA), the Vaasa Symphony Orchestra (Finland), Atlanta Philharmonic (GA), Cascade (WA), Greensboro (NC), Clemson (SC), LaGrange (GA), Minot (ND), Bellevue Philharmonic (WA), and Northeastern (MA) Symphony Orchestras. He also performs regularly with wind bands and brass bands that have included Soli Brass in Holland, Point of Ayr in Wales, the National Youth Brass Band of Switzerland and wind bands from Singapore, Germany, Hong Kong, and the United States. Adam has also been guest soloist and conductor at festivals around the globe, including twice at the Mid-West Band and Orchestra Clinic (USA), the WASBE Convention (Singapore), Melbourne International Festival of Brass (Australia), the Association of Concert Bands (USA), Trombonanza (Argentina), Carlos Gomez Festival (Brazil), Jeju International Wind Festival (South Korea), Asia Pacific Band Directors Conference (South Korea), Westby Low Brass Workshop (Norway), Peru Low Brass Festival (Peru), Colombia Festubal (Colombia), Tubmania (Thailand), and Orquesta Latinoamericana de Vientos (Colombia) to name a few. His website, www.euphonium.com, contains sound files, performance schedules, photos from his world travels, and his recordings and publications. 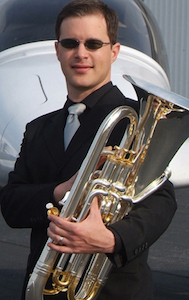 Dr. Frey is Assistant Professor of Low Brass at the University of North Georgia where he teaches trombone, euphonium, tuba, and chamber music. Additionally, he is a Yamaha Performing Artist and Guest Clinician. is the Michigan State University Director of Bands Emeritus. Joining the MSU faculty in 1970 as Director of Bands, he came from the University of Kansas where he held that same position. 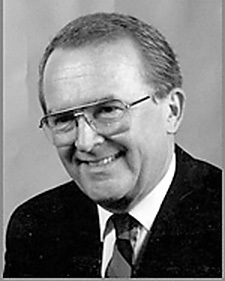 He was Director of the School of Music at MSUfrom 1978 to 1988. Mr.Bloomquist is a Past President of the American Bandmasters Association and Past President of the National Band Association. He is also a member of the College Band Directors National Association. 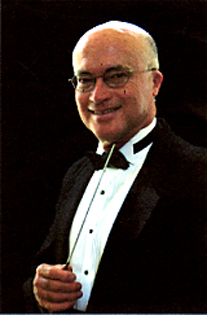 Professor Bloomquist has been the recipient of several awards, including the American School Band Directors Association Harding Award, the Phi Mu Alpha Sinfonia Orpheus Award, the National Band Association Citation of Excellence, induction into the National Band Association's Academy of Wind and Percussion Arts and the NBA Hall of Fame. Professor Bloomquist has appeared as guest conductor, clinician and adjudicator throughout the United States, Europe, Scandinavia, Southeast Asia, Japan, Australia and Mexico. He conducted adult community concert bands on cruise ships in Hawaii and the Caribbean. Currently, he maintains an active schedule as a guest conductor, clinician and adjudicator throughout the world. f you've visited Disneyland, Disneyworld or tuned into a Disney television special, you've undoubtably heard the work of James Christensen! For twelve of his 37-plus years with Walt Disney Productions, Jim served as music director for both Disneyland and Walt Disney World, and conducted the All-American Marching Band at the grand opening of Euro-Disneyland in Paris on April 12, 1992. 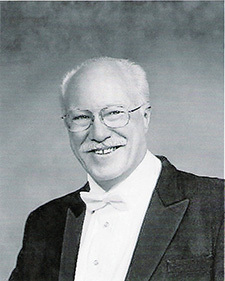 A prolific composer/arranger with over 400 published works to his credit, Mr. Christensen's arrangements are heard at theme parks around the world, including all the Disney parks, Knott’s Berry Farm, Canada’s Wonderland, Hershey Park, Lotte World (Korea), Everland, and Movie World in Germany. Additionally, he's also arranged and orchestrated music for the Boston Pops, the London Philharmonic, several Super Bowls, and MENC’s World Largest Concert. Mr. Christensen has also served as guest conductor with the symphonic orchestras of Houston, San Diego, Winnipeg Honolulu, New Orleans Pops, Los Angeles Chamber Orchestra, the Radio City Music Hall Orchestra, the Hollywood Bowl Orchestra, and others. is the former conductor of the University of California, Irvine Wind Symphony. Currently, he serves as an adjudicator and clinician for the International Music Festivals with World Projects, and is the Artistic Director of the New York Orchestra Festival held in Carnegie Hall in New York. Mr. Fournier is also the Music Director for BonesWest, a 50 member trombone ensemble that performs jazz arrangements internationally. A member of the Lafayette Concert Band since its inception in 1982, Gerald Guilbeaux has been the Conductor/Music Director of the band since 1993. He is also the founder and conductor of the Acadian Wind Symphony, a select 50 piece wind ensemble which performs during the summer months and at special events. Under his direction, the Lafayette Concert Band became the 1999 recipient of the Sudler Silver Scroll, an international award recognizing excellence in adult community bands, administered by the John Philip Sousa Foundation. He is Past-President of the Association of Concert Bands and served as Publications Coordinator and Editor of the ACB JOURNAL. He has twice been awarded the Citation of Excellence by the National Band Association and received the Diploma of the Order of Merit by the John Philip Sousa Foundation. 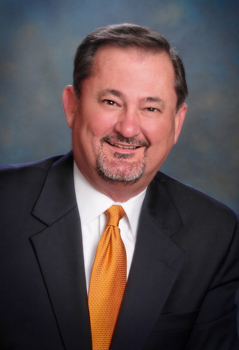 Mr. Guilbeaux is an active guest conductor and adjudicator, serves on the Selection Committee for the Sudler Silver Scroll and is a member of the Board of Directors of the John Philip Sousa Foundation. He is the administrator and assistant conductor of the Sousa Foundation’s National Community Band. He has served as Chair of the Associate Member Committee of the prestigious American Bandmasters Association and served as a member of the Board of Directors of ABA. He and his wife Beth make their home in Lafayette, Louisiana and are the proud parents of three daughters, Amy, Lynn and Chrissy. Granddaughters, Carly and Cameryn O’Quain, Addison Thompson, Lily Bone and grandsons Lucien Bone IV and Mark and Henry Thompson add tremendous joy to their family lives. was 25th Director of "The President's Own" United States Marine Band. His acclaimed career spanned nine presidential administrations, from Presidents Dwight D. Eisenhower to Bill Clinton. Col. Bourgeois is a graduate of Loyola University in New Orleans. He joined the Marine Corps in 1956 and entered "The President's Own" as a French hornist and arranger in 1958. 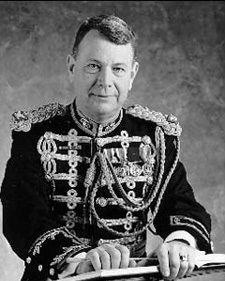 Named Director of the Marine Band in 1979. He retired from active duty July 11, 1996. As Director of "The President's Own," Col. Bourgeois was Music Advisor to the White House. He selected the musical program and directed the band on its traditional place of honor at the U.S. Capitol for four Presidential inaugurations. He regularly conducted the Marine Band and the Marine Chamber Orchestra at the White House, appearing there more frequently than any other musician in the nation. Col. Bourgeois is past president of the American Bandmasters Association, chairman of the board and past president of the National Band Association, president of the John Philip Sousa Foundation, and the American vice president of the International Military Music Society. He has served on the boards of directors for the World Association for Symphonic Bands and Ensembles and the Association of Concert Bands. Since retiring from the Marine Band, Col. Bourgeois has been actively involved in music as a guest conductor, has published new editions of classic band compositions, and is a visiting professor in a chair endowed in his name at Loyola University in New Orleans. 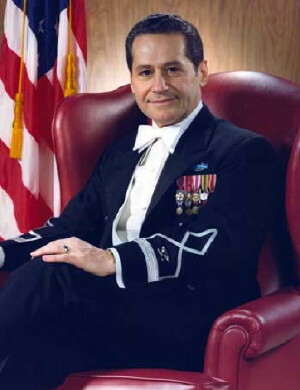 retired from the United States Air Force in 1985 following a distinguished 36 year military career, at which time he was awarded his third Legion of Merit for his service to the United States Air Force and to music education throughout the country. He served as Commander/Conductor of the internationally renowned U.S. Air Force Band, Symphony Orchestra, and Singing Sergeants from 1964 to 1985. In 1990, he was named the first Conductor Emeritus of the USAF Band Col. Gabriel served on the faculty of George Mason University in Fairfax, Virginia,from 1985 to 1995, as Conductor of the GMU Symphony Orchestra and as Chairman, Department of Music for eight of those years. In recognition of his ten years service to the university, he was named Professor Emeritus of Music. Col. Gabriel was inducted into the National Band Association Hall of Fame of Distinguished Band Conductors, becoming the youngest person ever to have received this honor, and was an inaugural inductee to the Distinguished Alumni Wall of Fame of Cortland High School in Cortland, New York. He is also a Past President of the prestigious American Bandmasters Association. In 2008, the US Air Force Band dedicated the Arnald D. Gabriel Hall in his honor, and Bands of America inducted Col Gabriel into its Hall of Fame. Col. Gabriel has performed in all 50 of the United States and in 50 countries around the world. Col. Gabriel was named Music Director Emeritus of the McLean (VA) Orchestra for his outstanding leadership from 1986 to 2002. Col. Gabriel continues to appear as clinician at major state, regional, and university music festivals and guest conducts outstanding school, college, municipal, and military bands as well as orchestras around the world. 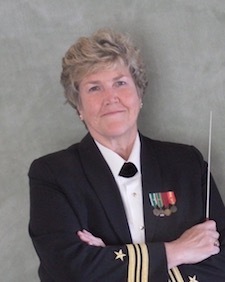 served as Associate Conductor of the United States Navy Band, Washington DC; Director of the Navy Band, San Francisco; Fleet Bandmaster of the US 7th Fleet, and Fleet Bandmaster of the US Atlantic Fleet. Currently she is the Musical Director of the Tucson Concert Band (AZ) and is active as a guest conductor and clinician. Copyright © 2017 World Music Tours. All Rights Reserved.